tells us that the building was occupied from 1758 to 1761 by Joseph Priestley. However we’ve been unable (so far) to find any account of this. However James Hall tells us that the school house, where Priestley taught, was pulled down around about 1843, and fronted Hospital Street. Hall described the school as a black and white building, and had an upper room that extended over the gate-way that led to the Unitarian Chapel yard. 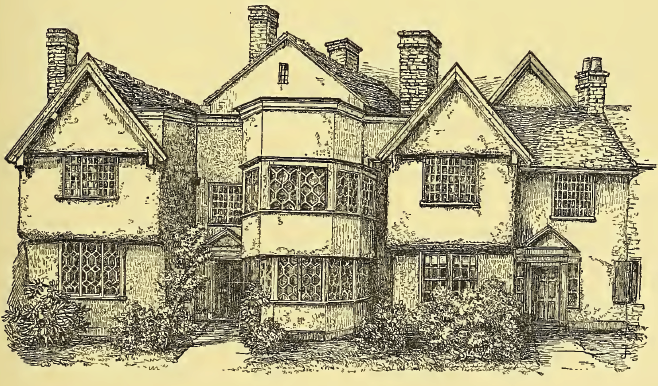 James Hall tells us that Eddowes Bowman in 1814 purchased from the Leversage family of this town the house in Hospital Street, known as Sweet-briar Hall. Eddowes Bowman, and his son, John Eddowes Bowman, were partners in a bank that failed in 1816, leaving the family destitute. They left Nantwich in 1816, as a result of the bank’s collapse. William Bowman later became Sir William Bowman, 1st Baronet. You may be surprised to learn that three different parts of your body are named after him, see here for more details.